It isn’t uncommon for car owners to discover that their vehicles won’t start upon turning the ignition on. Often, this issue is caused by a dead battery. When a dead battery is the cause of the problem, all accessories in the vehicle, including the radio and lights, won’t work. But when a car owner attempts to turn on the engine and the attempt fails, yet the radio and lights still work, it can lead to confusion. This is particularly true among motorists who aren’t very well-versed in the issues that can occur with vehicles that could lead to such problems. 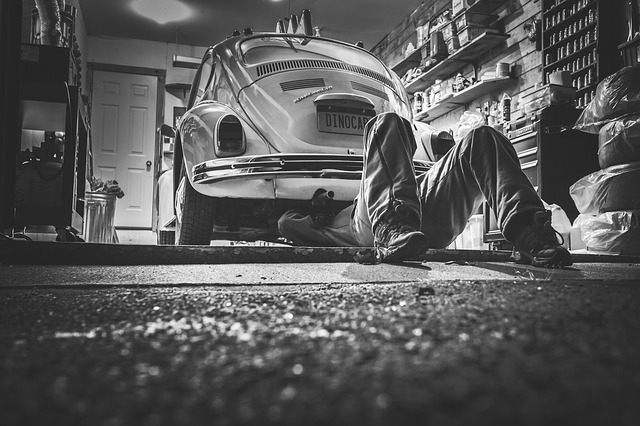 By gaining an understanding of what could prevent a car from starting, though the lights and radio still work, vehicle owners will have an easier time accurately identifying the source of the problem and correcting it. Here’s a look at some of the common reasons why a car may not start, yet the radio and lights are still operational. A car needs fuel in order to go. If the fuel level is extremely low, it may prevent the car from starting at all. When this happens, the lights and radio – as well as other accessories – will still work, as the battery isn’t the source of the problem. Identifying low fuel as the source of the problem is simple; simply check your car’s fuel gauge. If it is at or below empty, chances are that all you need to do is add some gas and the car will start. Before a car can start to move, sparks that are created by the battery have to be strong enough so that it can ignite the compressed fuel vapor. When that happens, the engine will turn on and the car can be driven. However, when the spark plugs are faulty, there is a chance that a car won’t start. Spark plugs can become overheated, get clogged with dirt, or they can suffer from regular wear and tear. All of these issues can prevent a vehicle’s engine from starting, yet the lights and radio will still be operational. That’s why it’s important to change the spark plugs on a regular basis. Another issue that could prevent a car from starting, yet still allow the lights and radio to remain operational, is the starter. The starter serves as a motor. It pulls electrical current away from the battery and uses it to start the engine. If a starter is malfunctioning, you might hear a clicking sound when you turn the ignition. Issues with the starter may be related to a loose connection, in which case securing the loose connections will remedy the problem. It could also be that the starter has simply worn out. If the latter is the case, replacing the part will be necessary. A fuel pump sends gas to the engine. If it is faulty, the car won’t start, yet the radio and lights will remain operational. Fuel pump problems can occur when pressure in the fuel transmission system is low. This can happen as a result of wear and tear, blockages, or leaks in the lines. A fuel pump can also become faulty when the gas tank sits with too little fuel for a prolonged period of time. When fuel isn’t reaching the fuel pump, the pump itself can age faster, which will eventually lead to mechanical failures. Having the fuel pump changed on a regular basis and performing routine maintenance can prevent issues with this component from arising – and can also help to prevent the problem of your car not starting. While most of the reasons why a car won’t start but the radio and lights still go on is related to a mechanical problem, there are instances when it can be the result of human error. This is particularly true with certain vehicles. Certain cars today are equipped with features that will prevent the car from turning on if the driver fails to do something. Not putting on a seat belt. In some newer car models, the engine will not start unless the driver has his or her seat belt on. Until the driver puts his or her seat belt on, the engine will not turn on. If you have a car that has this feature and your car won’t start, make sure you put your seat belt on. The car may not be in park. With most automatic cars, the vehicle must be in park in order for it to start. For example, if you have the transmission placed over drive, the car won’t turn on. Additionally, if your foot isn’t on the brake, the car may not turn on. If you have an automatic car, make sure the car is in park and that your foot is firmly pushed on the brake. The clutch isn’t pressed in enough. If you have a manual car and it won’t turn on, it could be because you don’t have the clutch pressed in far enough. Adjust the clutch to make sure that it is pushed in all the way and try starting the car again. When a car won’t start but the radio and lights still function, it can be frustrating. By knowing some of the common causes of this issue, you can hopefully remedy the problem as quickly as possible. Thanks for visiting our post “My Car Wont Start But The Radio And Lights Work“. We hope you found it helpful. Here’s another great article to help you with this problem. What next? If you’re having power problems, or are concerned about having them in the future you might want to consider carrying a portable car jump starter with you. They’re cheap and compact, and provide great peace of mind. If that sounds like something you’d be interested in you should read our review of the Winplus Car Jump Start Here for more info.